As we all know, most videos from YouTube are FLV (flash video) format, which is smaller than other video formats. However, many users wanna save movies/videos as MP4 format for playback on their portable devices such as iPhone, iPad, etc. 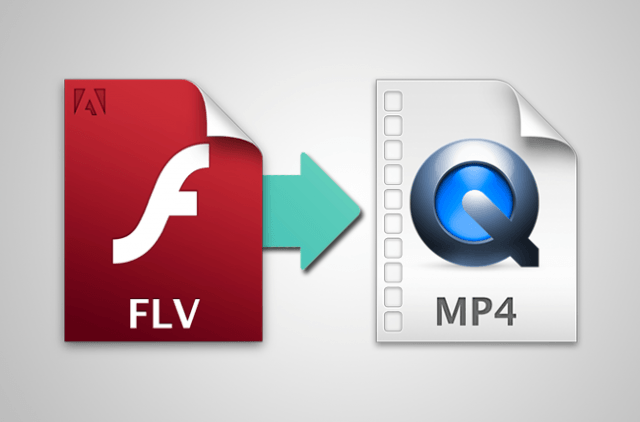 Now, you should need a FLV to MP4 Video Converter to convert FLV files to MP4. Step One: Import FLV files by clicking the "Add Video(s)" button in the main interface. 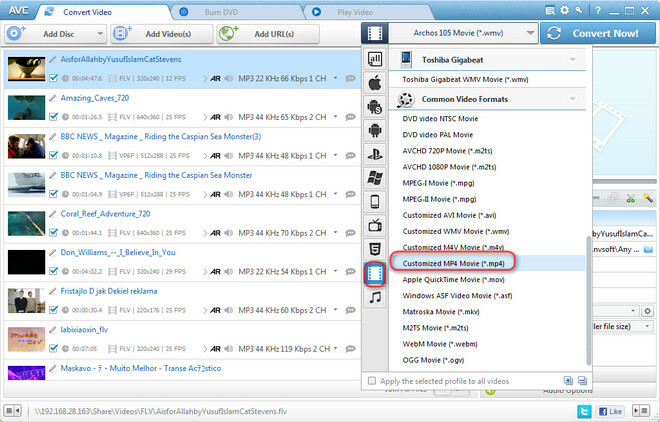 You can click “Add Video(s)” or “Add or Drag Files” to add MP4 files to this MP4 to MP3 Converter. Step Three: Start converting FLV files to MP4. With Any Video Converter, you can easily convert FLV to WMV, MPG, H.264/MPEG-4, DivX, XviD, MPEG-1, MPEG-2, AVI, 3GP, 3G2, FLV, F4V, SWF, DV, VOB, HTML5 WebM/MP4/OGV Theora, DVD NTSC, DVD PAL, MP3, OGG, WAV, AAC, WMA, AIFF, CAF, AMR, RA, AU, MP2, AC3, M4R, M4A, FLAC, etc. You can not only convert FLV videos to various portable video and audio players, but also can convert almost all popular video formats to WebM including AVI, FLV, MPG, MP4, M4V(without DRM), M2V, SWF, 3GP, 3G2, 3GPP, MOV, TS, TP, TRP, M2TS, MTS, MKV, DV, WMV, MOD, TOD, ASF, DAT, F4V, VOB, RM, RMVB, DivX, XviD, MXF, H.261, H.263, H.264, NUT, NC, NSV, H265 and more to FLV format.